CDS Eligibility Criteria 2019 - The eligibility criteria of CDS has been defined by exam conducting authority, Union Public Service Commission (UPSC). CDS eligibility criteria 2019 will have the set of norms in terms of age, nationality and educational qualification. According to CDS eligibility criteria, candidates applying for the exam must be 20 to 24 years. Candidates who have passed graduation or appearing for their final year are eligible to apply for CDS exam provided they submit a relevant certificate of passing the examination at the time of commencement of course. The detailed CDS 2019 eligibility criteria is provided on this page. Candidates can check CDS eligibility criteria before filling the application form. CDS 1 2019 exam will be conducted on February 3, 2019. 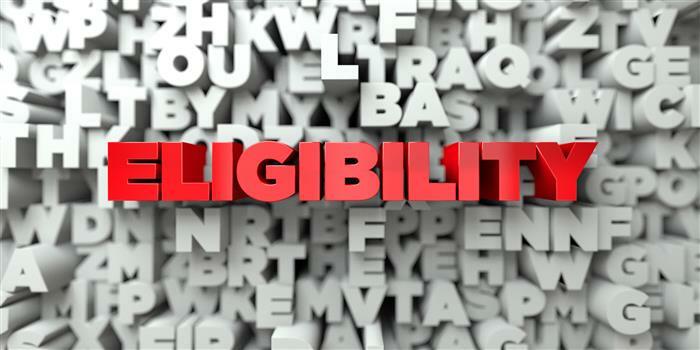 Read this article for more details on CDS eligibility criteria 2019. Candidates from Nepal, Bhutan and Tibetan refugee, Pakistan, Burma, Sri Lanka and East African Countries of Kenya, Uganda, the United Republic of Tanzania, Zambia, Malawi, Zaire and Ethiopia or Vietnam are also eligible but only after subject to fulfilment eligibility criteria as the rule of Government of India. Candidates can check below the physical standard in order to be eligible for CDS 1 2019 exam. Candidates must be physically fit as per the prescribed physical standard by UPSC. Candidate must be in good physical and sound mental health and free from any disease/disability that can interfere with the efficient performance of duties. There should be no evidence of weak constitution, bodily defects or overweight. The minimum acceptable height for male candidates is 157.5 cm. for Army, 157 cm for Navy and 162.5 cms for Air Force. The minimum height of women candidates’ should be 152 cm. For candidates belonging to Gorkhas and hills of North-Eastern region of India, Garhwali and Kumaon, the minimum acceptable height will be 5 cm less. In case of candidates from Lakshadweep, the minimum acceptable height can be reduced by 2 cms. For women candidates, if pregnancy is detected at any stage after selection at SSB or during training will debar the candidates from the grant of commission and cost recovered from the date of joining OTA till the date of debarring on confirmation of pregnancy from Military Hospital Authorities. Candidates should have a sufficient number of natural and sound teeth. A minimum of 14 dental points will be acceptable. When 32 teeth are present, the total dental points are 22. Internal examination of the eye will be done by means of ophthalmoscope to rule out any disease of the eye. A candidate must have good binocular vision. The colour vision standard will be CP-II for Army. A candidate should be able to recognize red and green colors. For IMA, candidates born earlier than January 2, 1996 and not later than July 1, 2001 are only eligible. Candidates born not earlier than January 2, 1996 and not later than January 1, 2001 only are eligible for Indian Naval Academy. For Air Force Academy, candidates must born not earlier than January 2, 1996, and not later than January 1, 2000. To be eligible for For Officers' Training Academy courses, candidates must be born not earlier than January 2, 1995 and not later than January 1, 2001. The age of candidates should be as recorded in matriculation/secondary school examination. Candidates who are studying in the final year or are yet to pass the final year examination can apply provided they do not have any back up to the last semester at the time of submission of application. They are required to submit proof of passing the examination at the time of commencement of course. The application form of CDS 1 2019 has been released on October 31, 2018. The last day to apply for CDS 1 application form 2019 is November 26, 2018. Fees can be paid both online and offline. Candidates have to fill the application form in two phases. Part 1 included filling up of basic details like name, qualification, parents’ name etc whereas in part 2 candidates have to upload their photographs, signature, pay the requisite application fees, selection of exam centres and signing of declaration form. Candidates filling CDS application form 2019 have to provide details of one photo-identity proof such as Aadhaar card/ Voter Card/ PAN Card/ Passport/ Driving License/ other photo ID Card issued by the State/Central Government. Can I apply for CDS after BCA from a private Institution? Can I apply for cds after doing graduation from private Institute? When are CDS exam 2019 forms are opening? what is the height should be for cds exam?? Your CDS brochure has been successfully mailed to your registered email id .